How to draw Wonder Woman from DC comics. This video shows you how to draw a wonder woman a new version. I made the video in 2016 and I follow the animated style from the Justice League shows. Below you will also find a step by step of the classic style drawing of a wonder woman. They are quite different. 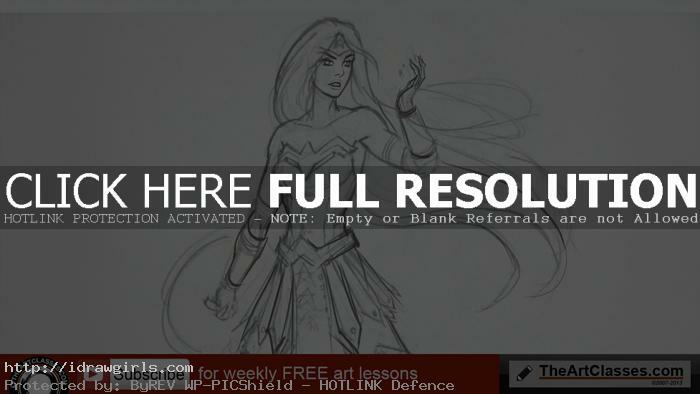 In this tutorial, you will learn to draw a female character Wonder Woman step by step tutorial with instruction. Diana is a princess to a race of Amazon Warriors from Paradise Island. She is an ambassador and a warrior. Using her powers granted by the Gods of Olympus upon her birth, Wonder Woman came to America to fight for peace, justice and truth. Wonder Woman is Earth’s greatest heroine. Whether you come up with your own pose or reference, careful planning will make your drawing a lot faster and easier. It is also very helpful if you break anatomy or body parts down into simple geometry shapes then draw detail over the shapes. In this drawing, I make her pose in a generic natural stance front view with both her hands on her hip. It is very important have some knowledge of anatomy as an artist if you want to be a professional commercial artist. I would strongly recommend attending life drawing session nearest you and get anatomy for artists book for reference. Wonder Woman is one of the longest continually published comic book characters, Wonder Woman’s history has changed somewhat over the course of her various depictions. In her original golden age appearances certain aspects of the character were introduced which have remained consistent to the modern day. Her equipment includes the Lasso of Truth, magic gauntlets, and an invisible jet. 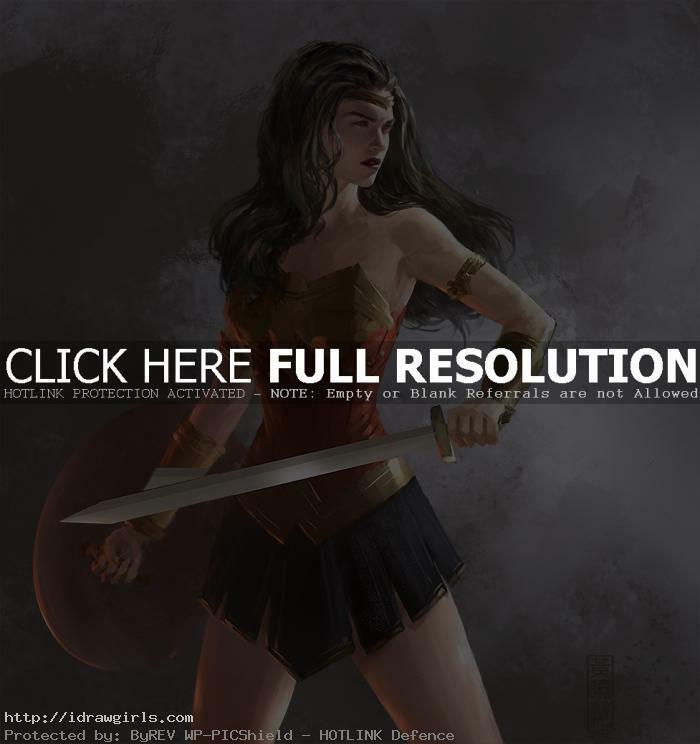 Below are step by step how to draw Wonder Woman. Step one, sketch a rough oval shape then a few lines for facial measurement. If you are new to my tutorial, go see instruction about how to draw female face lesson in detail. Step two, draw the eyes, nose and lips along the construction lines. Step three, draw her torso then shoulders and upper arms. Step four, finish the rest of the arms then sketch rough shapes for her hip and hands. Step five, refine her hands, her hip and thighs over the previously drawn shapes. Step six, draw her costume over the figure. More coloring tutorials you might be interested in.